The Assembly to debate the new Ukrainian law on education as a "major impediment to the teaching of national minorities' mother tongues." 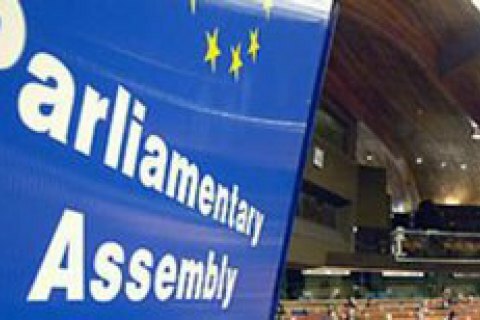 The Parliamentary Assembly of the Council of Europe (PACE) on 12 October will hold debate under urgent procedure of the linguistic norms in the new Ukrainian law "On Education". According to the agenda of the session week, the debate is titled "New Ukrainian education law: a major impediment to the teaching of national minorities' mother tongues." The main rapporteur has not yet been named. The session will start at 10:00 local time. Six representatives from Romania, one from France and Hungary, and four members of the Ukrainian delegation (Volodymyr Aryev, Boryslav Bereza, Vladyslav Holub and Iryna Herashchenko) will take part in the debate. An urgent debate on the law "On education" has been initiated by head of the Romanian delegation Titus Corlăţean. The request was supported by more than 20 MEPs from Romania, Hungary, Bulgaria, Moldova, Italy, Germany, Switzerland, and Great Britain. On 5 September, the Verkhovna Rada by 255 votes adopted the law On Education, which, in particular, regulates the use of the Ukrainian language in the sphere of education. The law came into force on 28 September. The law provides that children that will go to school next September, will have the opportunity to study in their native tongue only in elementary school. Starting from the fifth grade all subjects should be taught in Ukrainian. Governments of countries that have large diasporas in Ukraine have stated concerns because of this norm.